Home › Uncategorised › What to consider before applying to summer school. 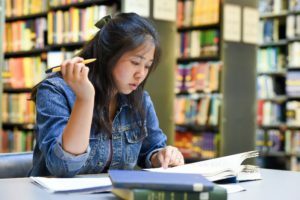 What to consider before applying to summer school. 10 Things To Think About Before You Apply. Is it in an interesting location? Taking a solo trip abroad can be one of life’s great adventures, but often feels daunting at first! Ensure you pick a location which feels right. Aim for somewhere which inspires exploration and makes you feel relaxed. Consider your tastes; are you someone who enjoys the buzz and variety of a cosmopolitan city or do you prefer beautiful landscapes and an escape to the countryside? Brighton is an ideal mix of the two. The University of Sussex campus is nestled in Castle Hill Nature Reserve, visible from the halls of residence. Expect green hills, lots of sheep, hiking trails, bike paths and picnic spots. The stunning Seven Sisters cliffs are only a short journey away and many of our students take day trips there whilst at summer school. If you prefer the bohemian buzz of Brighton, you can hop on a train for 10 minutes and be right in the hub of this historic city. Here you will find the Royal Pavilion, the quirky, independent shops of the Laines, Churchill Square shopping centre, an abundance of delicious, global restaurants, the pier and arcade, the best coffee shops, amazing nightlife with a pub on every corner, incredible street art and of course, Brighton beach. 2) In an amazing country? Have you thought about how your chosen host country will enrich your learning? If you’re into Field Biology are there a rich variety of habitats for you to explore? If you’re studying History, are there diverse local communities to investigate? 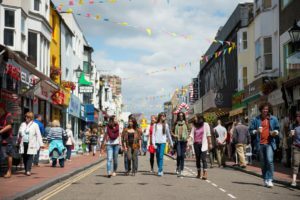 Studying at Sussex means you’re in an ideal location to not only explore Brighton, but the rest of the UK. Jump on a train up to less than an hour to marvel at London’s Oxford Street, Big Ben and Buckingham Palace. If you want to venture further afield to places like Bristol, Edinburgh and Leeds, you can arrange transport to anywhere in the country from Brighton. 3) With great international travel connections? Fancy feasting on Spanish delicacies in the sunshine outside La Sagrada Familia? Barcelona, as well as the rest of Europe are on your doorstep. Brighton is a mere 30 minute journey from Gatwick Airport with sites like Sky Scanner offering bargain flights to any cosmopolitan European city you’ve been dreaming of. 4) Does the university have international prominence? International experience will boost your CV to impressive heights. However, it’s imperative to choose a prestigious university which will impress prospective employers back at home. 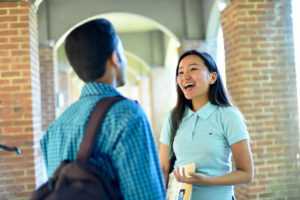 Sussex holds its position as a top-20 UK university and is considered one of the most exciting places to study in the UK. The university boasts innovative teaching and internationally renowned research in economics, health, culture, climate change and more. 5) Does it have a social programme? Would you like to meet international friends, explore the UK and share some incredible experiences together? If so, look out for summer schools with a social programme and opportunities to connect with class mates. The International Summer School (ISS) at the University of Sussex, offers one of the most extensive social programmes in the UK. In previous years, we’ve taken students to the Warner Brothers studios in London for the Making of Harry Potter tour, historic Oxford and Cambridge as well as mysterious Stonehenge and Bath. ISS also organise local events, including the opportunity to show off your lung capacity in karaoke, attend pub quizzes on campus and join organised hikes through the surrounding countryside. 6) Which subjects inspire you? You’ll spend your summer learning, reading and preparing assignments so try to decide on a subject which grabs you. Think about whether you’d like to gain experience for a college pre-requisite, gain a different cultural perspective on your major or try something different entirely! This is your chance to dedicate a summer to whatever it is that interests you. ISS Sussex offer a broad range of subjects in six different subject areas; Business, Management and Economics, Creative Arts and Media Studies, Humanities, Science, Independent Research or Social Sciences and Philosophy. You can find more details about our modules here. 7) Will you earn transferable credit? 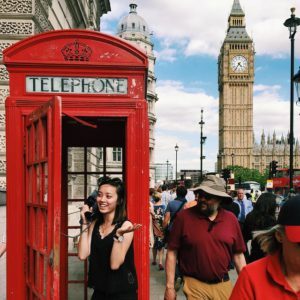 If you want to transfer module credit to your home institution, particularly if you’re transferring major credit, you’ll need to talk to your Study Abroad advisor before choosing your modules. The modules we offer in summer are very similar to those offered to Sussex students during the academic year. Sussex modules are accepted for transfer credit towards degrees at most colleges and universities outside the UK. This said, policies and degree requirements vary, so you should get approval for transfer of module credit before you apply. 8) Does it offer scholarships? If you’re a student from a developing country, you may find it more challenging to raise the funds required for summer school. A few summer schools in the UK offer scholarships to help cover these costs. Applications for ISS Sussex’s scholarship scheme open on the 1st December each year, applications for scholarships are now closed. You can find out more about applying for next years’ scholarships here. 9) What is the accommodation like? What kind of accommodation will suit you? On campus? Off campus? 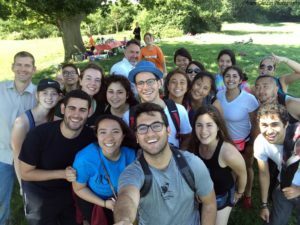 By living with other summer school students, you’ll quickly develop friendships and feel at home. 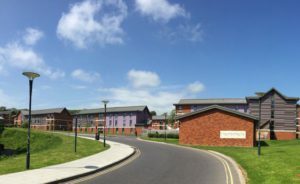 At Sussex, students live on campus, in single rooms with en-suite bathrooms in the new Northfield accommodation which is right next to the beautiful Sussex Downs. The Sussex Abroad Office is nearby to provide advice to all overseas students on queries about immigration, employment or financial matters. If you prefer to live off campus, you can rent private accommodation locally. However, this tends to get pricey in summer as tourist season drives the prices up. 10) What are the campus facilities like? Is there a well-stocked campus library to help you with your studies? Are there plenty of computers and work space? These are all things which are worth researching- there’s nothing worse than getting caught short with nowhere to print your work 5 minutes before a deadline! As a student at ISS Sussex, you will have full access to the University Library. This gives you access to over 730,000 books and journals, bookable study rooms and a range of printing and copying services. There are also multiple computer rooms across campus, some with 24 hour access for those late night cramming sessions! Are there opportunities to develop your language skills or play your favourite sport? Make the most of your time away from home and look out for universities with a stimulating environment. The Sussex Centre for Language Studies run English language modules during summer to help you improve your skills. You’ll also have access to both the Sports Centre and Falmer Sports Complex with their well-equipped fitness rooms, dance studio, martial arts dojo, squash courts, soccer pitches and tennis courts.